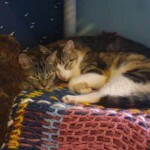 Mischa and Emmie were an owner surrender whose owner could no longer care for. They have been adopted together! Ophelia was finally adopted after months of waiting. 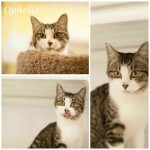 Ophelia was rescued from animal control with her siblings and mom. They have all been adopted and now she has gone on to her new home! At just days old our mother was hit and killed by a car. We came to Fixed Fur Life to be bottle fed. Shown her as wee babes and then just before we all went off to our new homes. 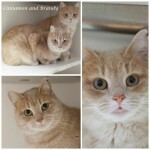 Brandy and Cinnamon are 2 girls from the Marble Point colony. A bonded pair. 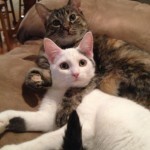 They were spayed and after many months of waiting they have finally found a home together. 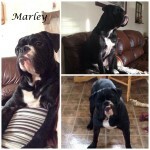 Marley's owner could no longer care for. 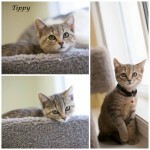 She has now been adopted! 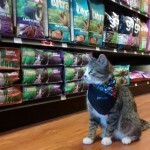 Beau's owner could no longer care for. 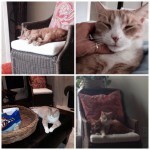 He was neutered through Fixed Fur Life and has been adopted! 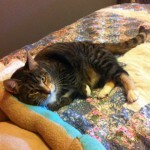 Daisy's owner was no longer able to care for her. She has now found a wonderful new home! 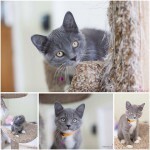 Shewster was adopted! 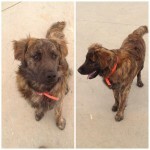 Shewster was taken in as a stray and the people who took him in could not keep. He was brought to Fixed Fur Life and neutered and has now been adopted! 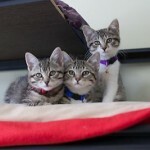 The girls were adopted together! 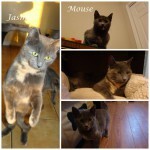 Jasmine and Mouse are mother and daughter. 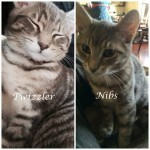 Both have now been Spayed and are presently at one of our afoption venyes Fur Balls choice. Our mom was an un spayed female living with an un neutered male. They have been fixed and we have been adopted! Stripes is a young adult very affectionate boy who was living with a man who had numerous cats and was going to put him outside.. 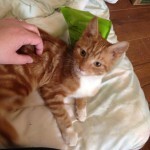 He has now been Neutered and is in a foster home and is ready for a permanent home. I was part of a large household of cats and our parents were not fixed. They are now and my siblings and I have now all been adopted. Our mother was a stray who had us outside. She was rescued along with all of us. Momma was Spayed and adopted and now we have all been adopted! Esse was the product of an un spayed female living with an un fixed male. She was spayed and is shown here in her new home. 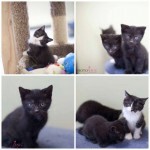 Montgomery and Bigera are 2 kitties that were strays taken in as kittens. 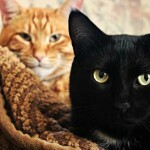 They were neutered and adopted and are now living together. 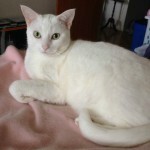 Autumn was one of many cats who were thrown outside into the cold winter after their owner passed away. 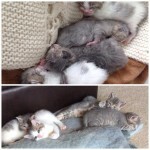 They were rounded up by Fixed Fur Life, Spayed and Neutered and have all now been adopted! Autumn has now been adopted!